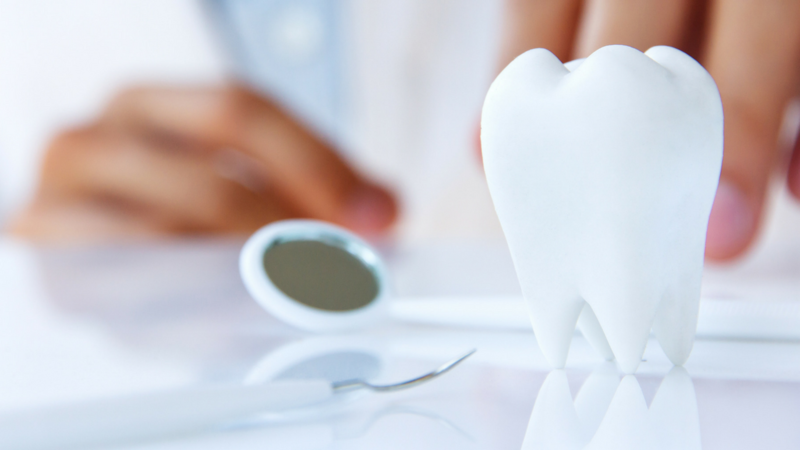 Growing a dental practice can be SUPER challenging with the continuous changes in the healthcare and insurance industries. You often struggle to break even financially even if you own your practice. You want to get a steady flow of leads coming in the office. 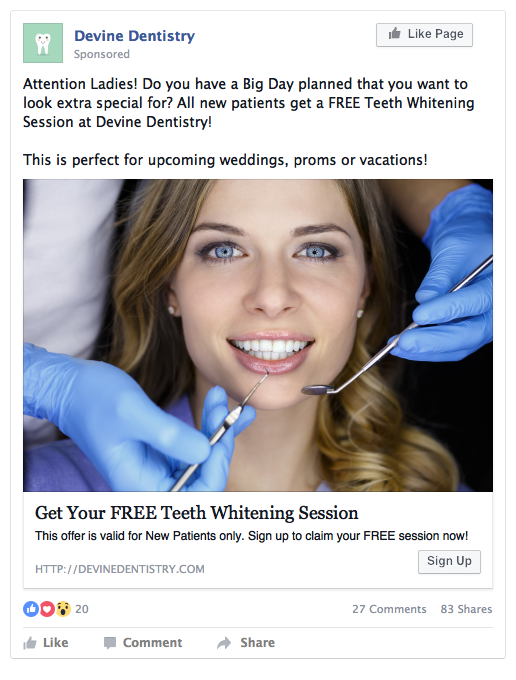 The fact that you are reading this post means you are already ahead of the curve and realize something that many dental practices do not (more than you can imagine); you should be advertising your practice online using Facebook ads. 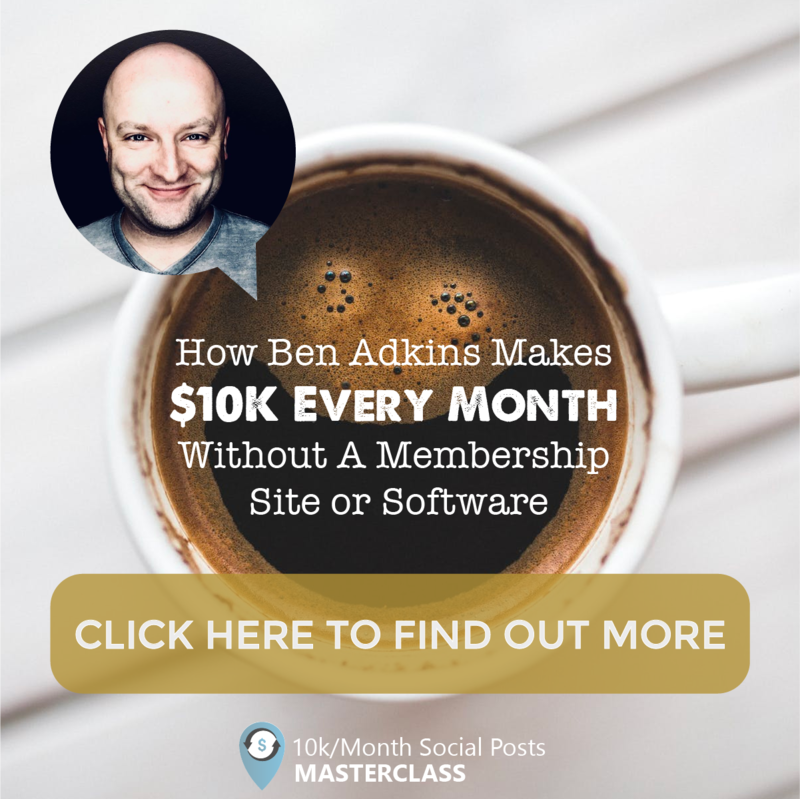 If on the off chance that you have not started using Facebook ads to grow your practice because you are either not confident that you can actually generate leads or you are afraid that it will break you financially, then you have also come to the right place! 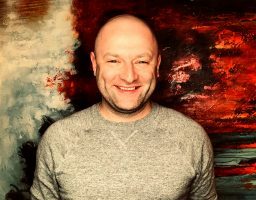 To put it bluntly, you should be using Facebook ads because that is where your clients are spending the majority of their spare time. A successful business is one that is able to solve a problem for a specific group of people, and to do that you have to know where to find them. I know it seems like Facebook ads are really expensive, and many people are hesitant to use them as a primary lead generation source. 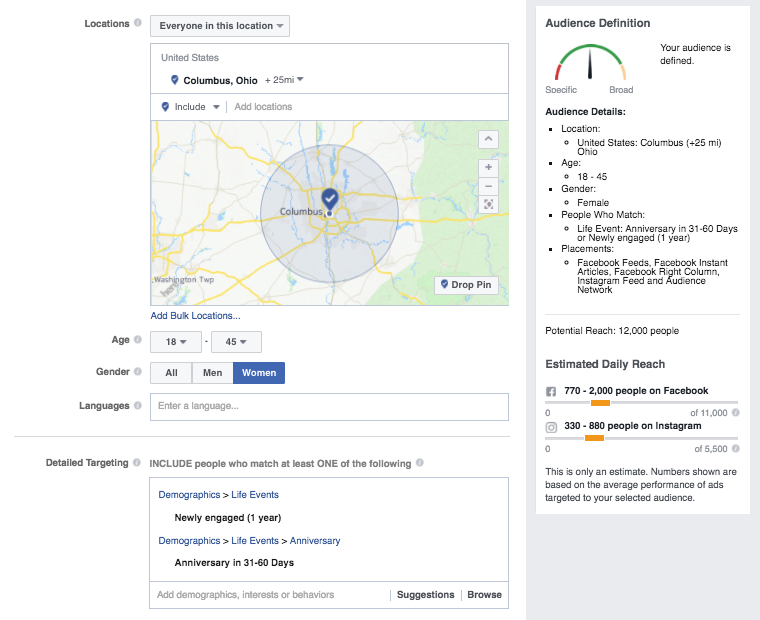 The reality is that if you are using Facebook ads correctly and targeting appropriately, then your ROI is HUGE when you consider the lifetime value of a customer. 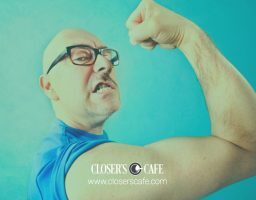 The very first thing that will catch a prospective customer’s attention is a great offer and to develop a great offer you have to decide WHO the offer is meant for. Now, as a dentist you probably see all sorts of people with diverse demographics and that’s perfectly fine. 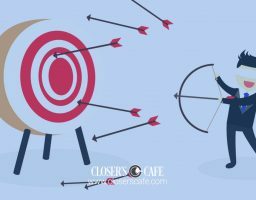 However, to start getting consistent leads you need to focus on targeting one specific segment of your potential audience at a time, and build an offer that is attractive to them. 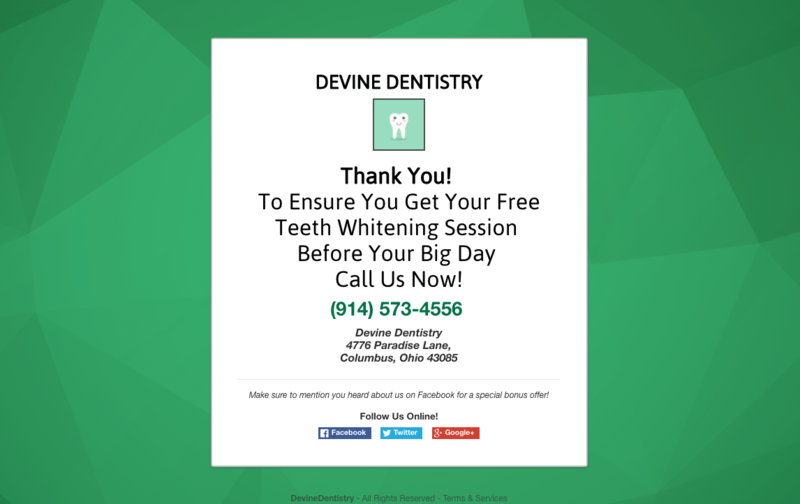 By first allowing them to develop trust in you with that free whitening session, you double the odds of retaining them as a loyal return customer. The great thing about advertising on Facebook is that you can target your ads based on these types of life events. Of course this offer will appeal to people you DON'T target, such as men or individuals who aren’t in the groups mentioned above as well. The ad is one of the most important elements of your funnel. It must clearly catch the attention of the people you are targeting as well as entice them to click the ad with a great offer. 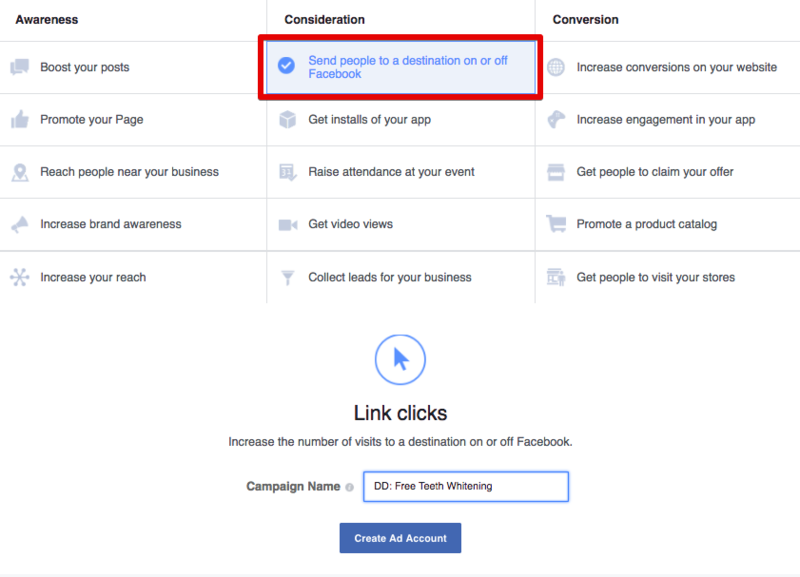 The most effective ad type to use for setting up a lead generation funnel for your practice is a “Consideration” ad that will “Send people to a destination on or off Facebook”. 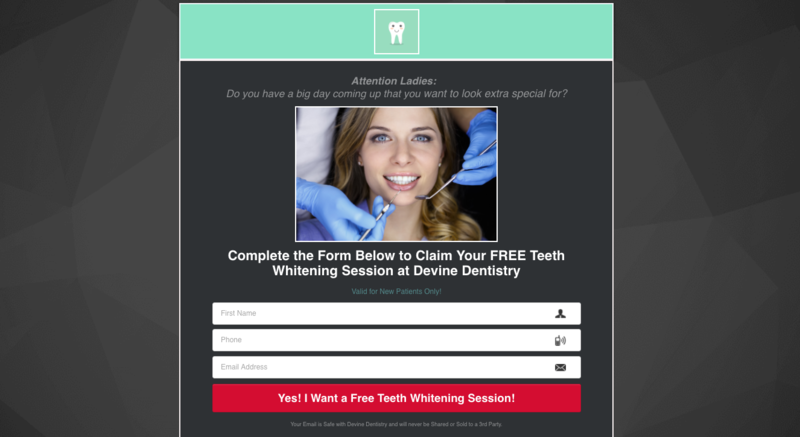 Now, even if you currently have a website for your practice, I do not recommend sending your leads there to collect their information. I recommend using LeadKit to build a simple funnel. It’s user friendly, has great customer service and has fantastic templates in place to set your pages up quickly. The degree of which you follow up with your leads can make or break this entire funnel. As a health professional, it is crucial that you make the new patient feel like they are more than just a number to you. You have to reach them on a personal level. I highly recommend using LeadKit as your autoresponder because it is inexpensive, very easy to setup automations and integrates with most payment processors and websites. Looking for other ready to use funnels? Check out our Chiropractic Funnel Using Facebook Ads.